I was at a point where I wondered if I should give up. After years of effort, I had signed with a literary agent. I thought all my dreams were about to come true, then my book didn't sell. I was devastated. Then I sent another manuscript to my agent, and she thought it was too flawed to sell. Doubly devastated. I continued with my next novel, though. For me, it was a litmus test. If this one didn't sell, maybe I wasn't cut out to be a novelist. Maybe getting an agent was a fluke. 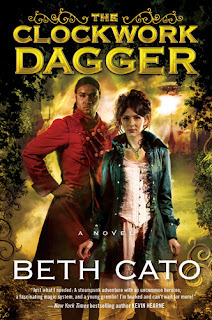 I threw everything into this book, The Clockwork Dagger, and spent months doing intense edits with my agent before she deemed it ready to submit to editors. At that point, I was ready to have a nervous breakdown. It didn't help that my beloved cat was diagnosed with cancer and quickly dying. I tried to focus on him and ignore that whole "on submission" thing completely. My cat died. I mourned. My agent was quiet. I was thankful for that. I couldn't have taken the inevitable bad news. Months passed. I wanted to talk to my agent about starting another book. I needed a new project to keep me busy. We arranged the phone call, exchanged pleasantries, then she said, "I've had a little news about The Clockwork Dagger..." We had an offer. It was for an ebook only. No advance. But it was something. Most importantly, my agent could now contact other editors with a 'hey, this project has an offer, can you get back to me?' query, which looks a whole lot more appealing. About a week later, she called me again. We had a second offer! This one was also ebook-only, but with a larger publisher. The overall offer was much better. My dream was to have a book in print, though. My agent told me to hold on because several editors still had my book and were intrigued. At this point, I was ready to explode any time the phone rang. A few more weeks passed. We were at the point where we had to respond to the existing offers. That's when my agent called again with the big news: Harper Collins Voyager wanted my book. Print, ebook, the whole shebang. Worldwide rights. Two book deal. My husband was right there with me. He held me as I cried, the phone pressed to my ear. 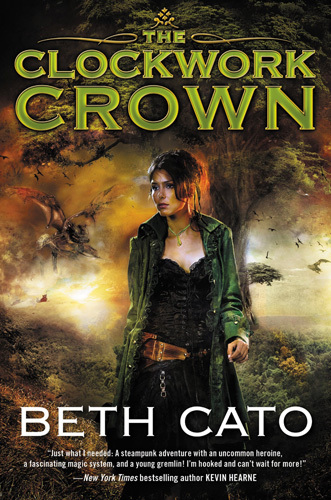 Those two books in my initial deal are now out: The Clockwork Dagger and The Clockwork Crown. I have a new book deal with Harper Voyager for an entirely new steampunk fantasy series to start next year. Right now I am finishing up smaller works set in my Clockwork Dagger world. This latest is a novella set after the events of The Clockwork Crown. 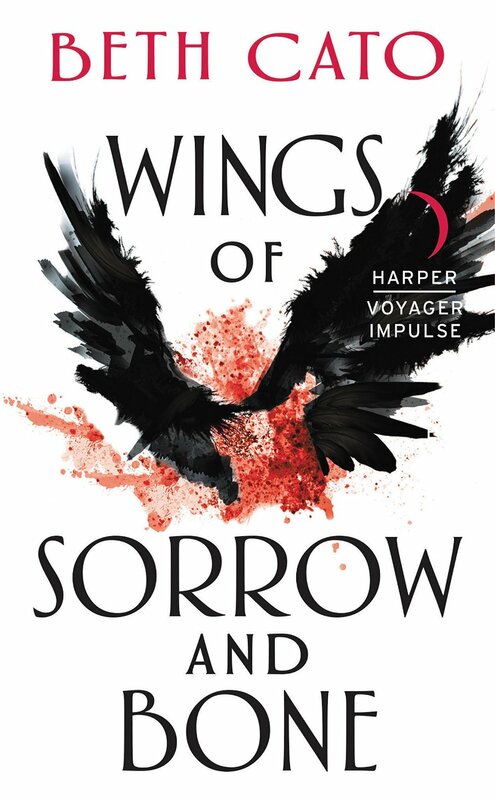 You can find out more about "Wings of Sorrow and Bone" just below. It's a story of girl power and gremlins in a steampunk fantasy world. It feels good to see it published. It feels good to still be writing books, period. There are still lots of lows that come with publishing, but at this point, I'm pretty sure my publications aren't a mere fluke. Beth Cato hails from Hanford, California, but currently writes and bakes cookies in a lair west of Phoenix, Arizona. She shares the household with a hockey-loving husband, a numbers-obsessed son, and a cat the size of a canned ham. She's the author of THE CLOCKWORK DAGGER (a 2015 Locus Award finalist for First Novel) and THE CLOCKWORK CROWN from Harper Voyager. It's always fascinating to read the 'behind the scenes' stories of books we love! I relate so much to your experience of 'the call,' Beth! Glad you persevered, and these delightful novels are out in the world!